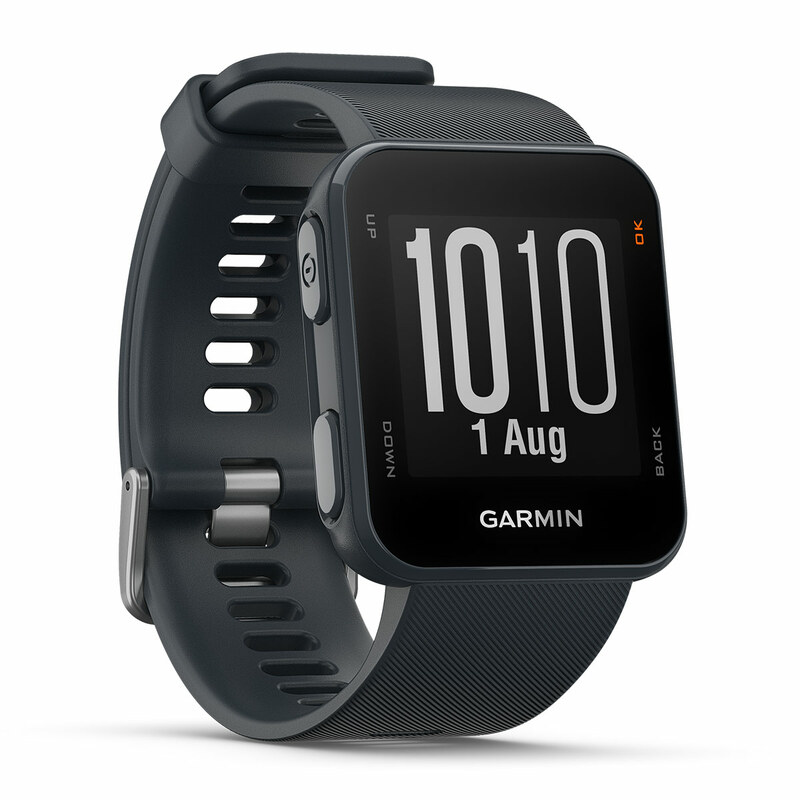 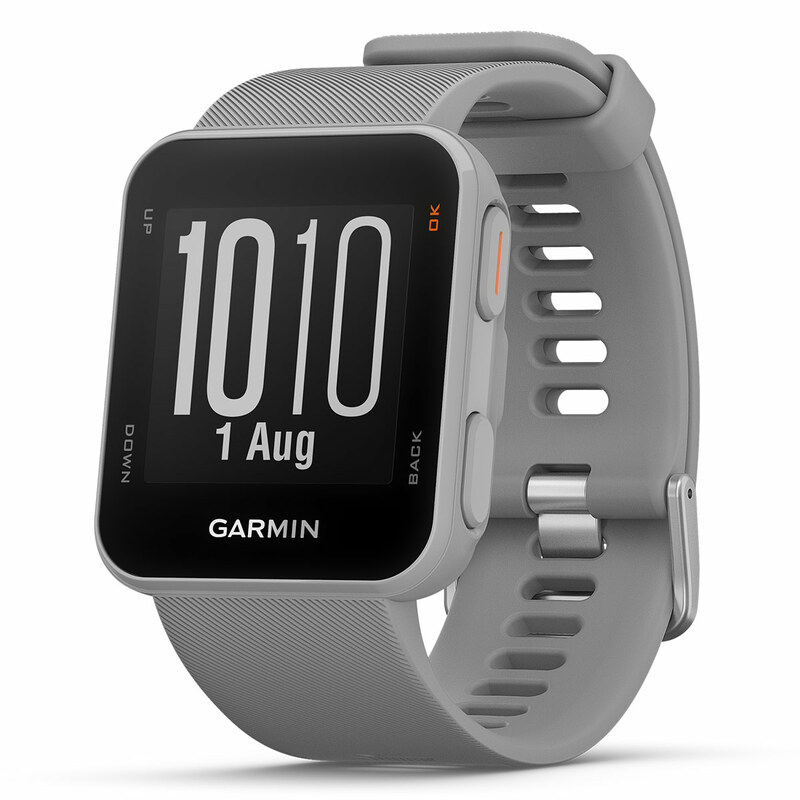 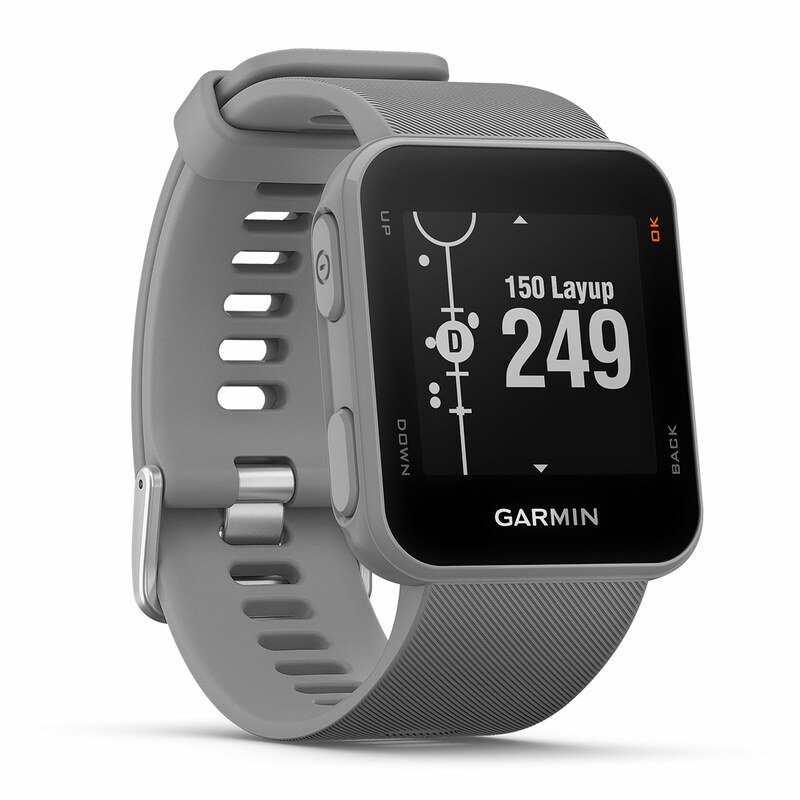 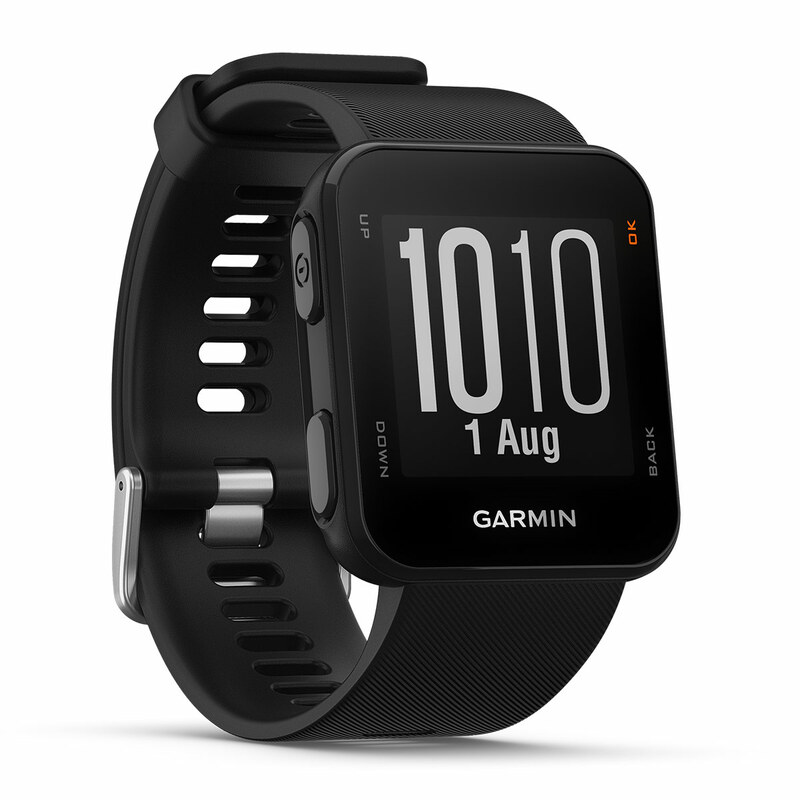 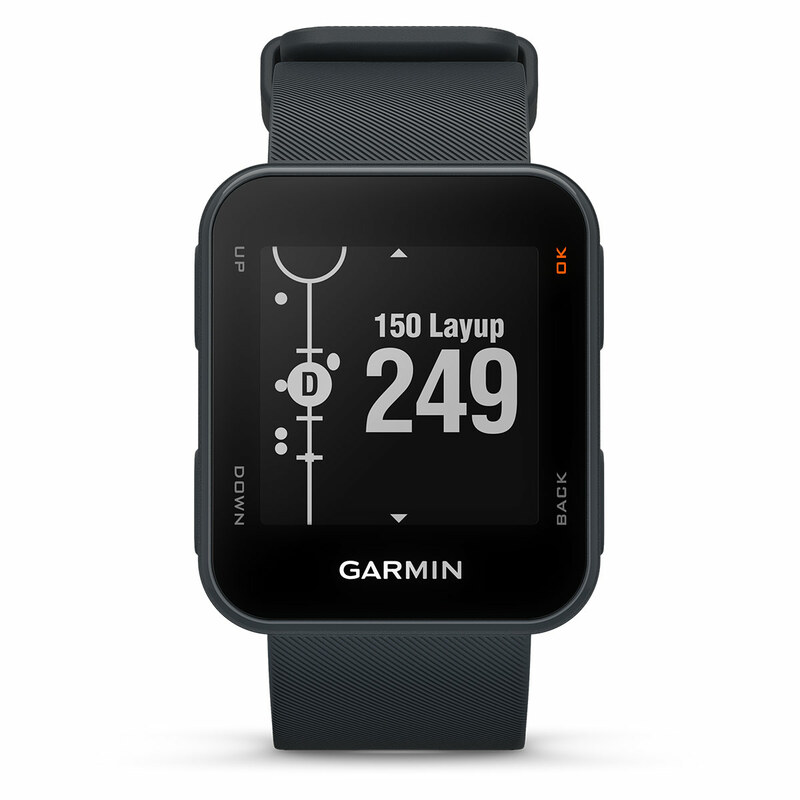 Take away all the distraction from your game and focus on what is important with the discreet Approach S10 GPS watch from Garmin. 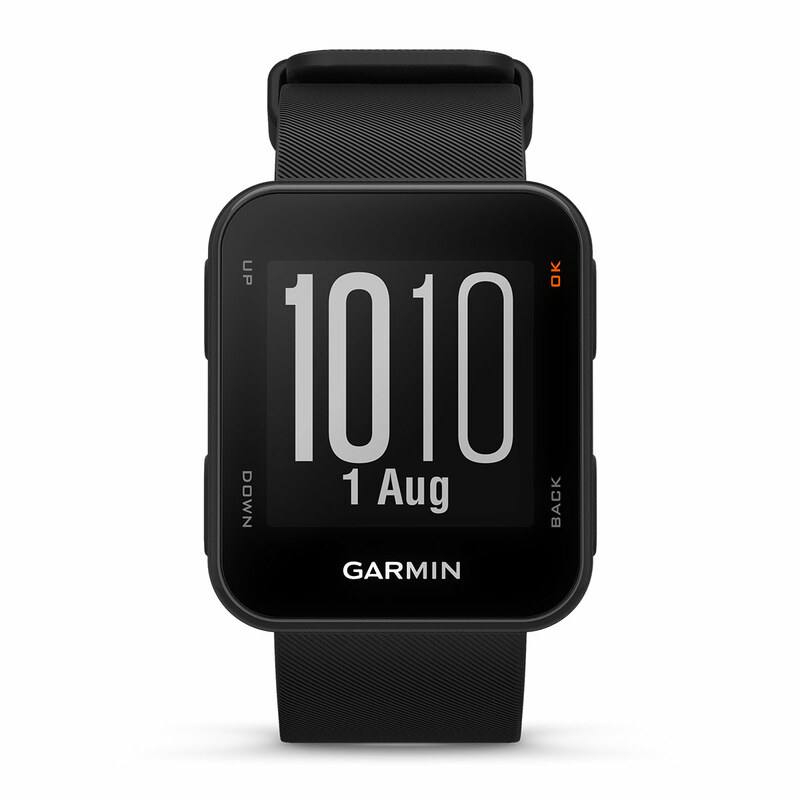 The watch has many functions which enable you to perform at your best. 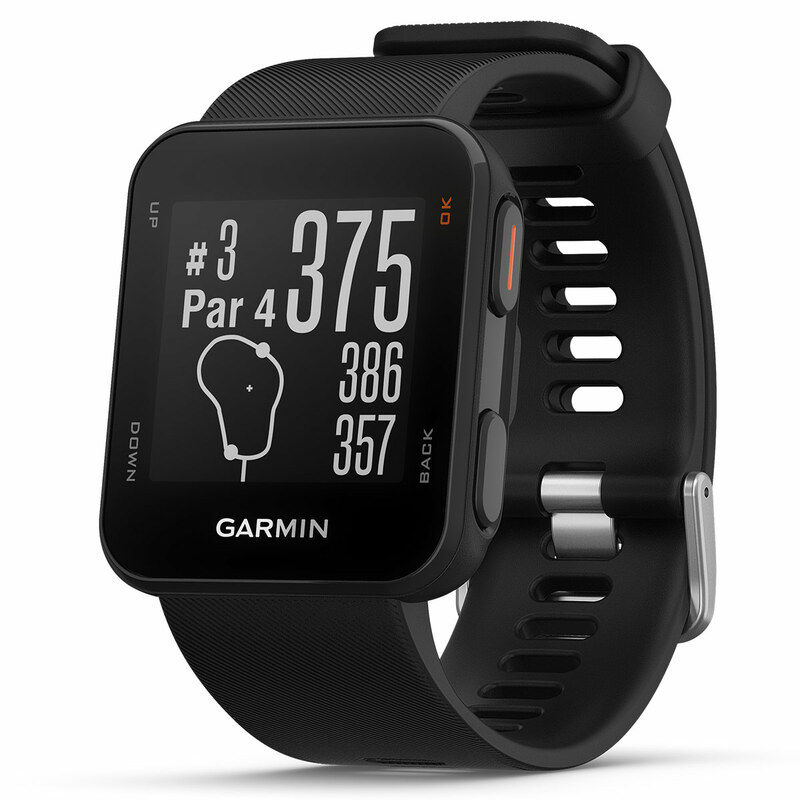 By auto-choosing the course you are on it removes the frustration of setting yourself up you can simply start playing without worry. 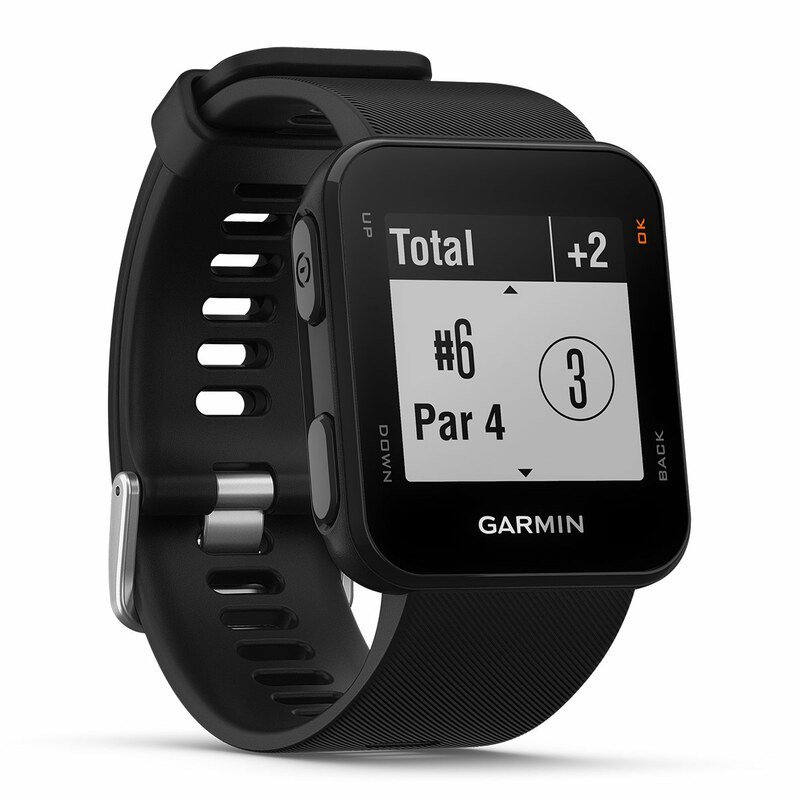 The watch has a catalogue of over 41000 courses worldwide. 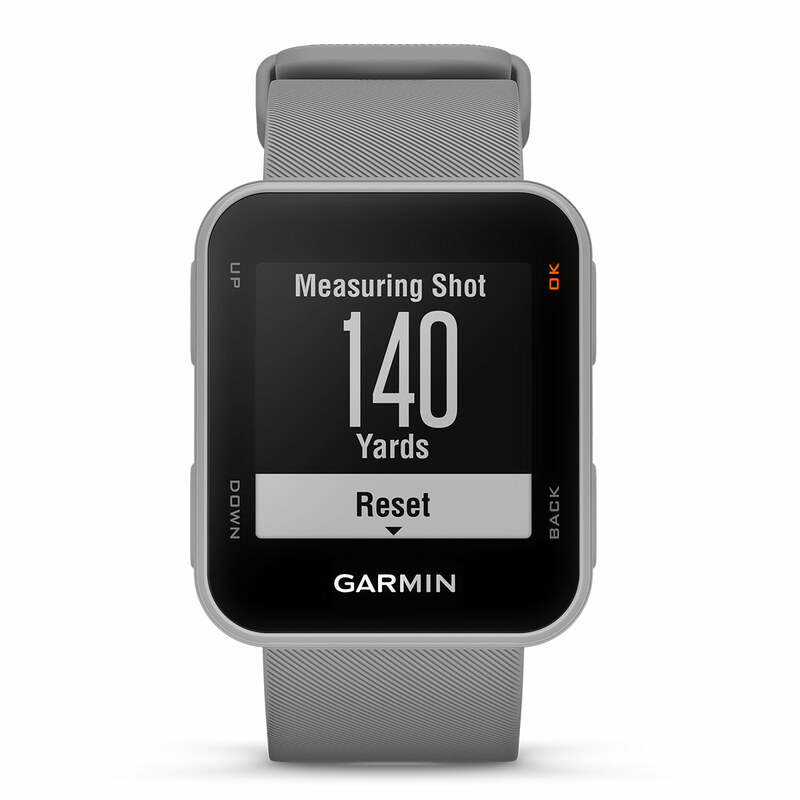 Get front back and middle yardages for accurate shot making as well as displays for doglegs and hazards. 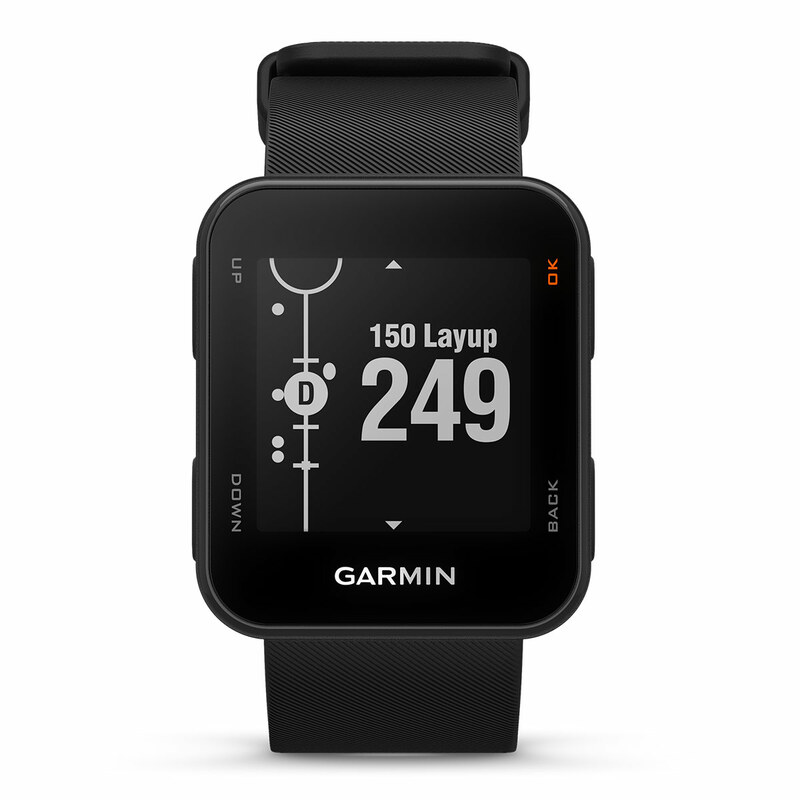 Hit your shot sweetly? 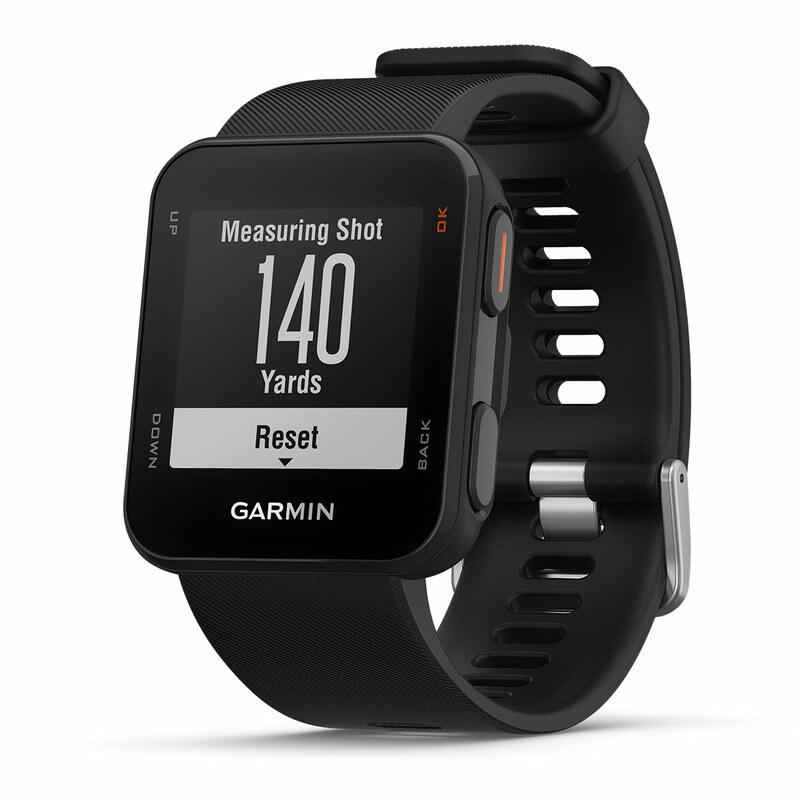 Then why not measure it! 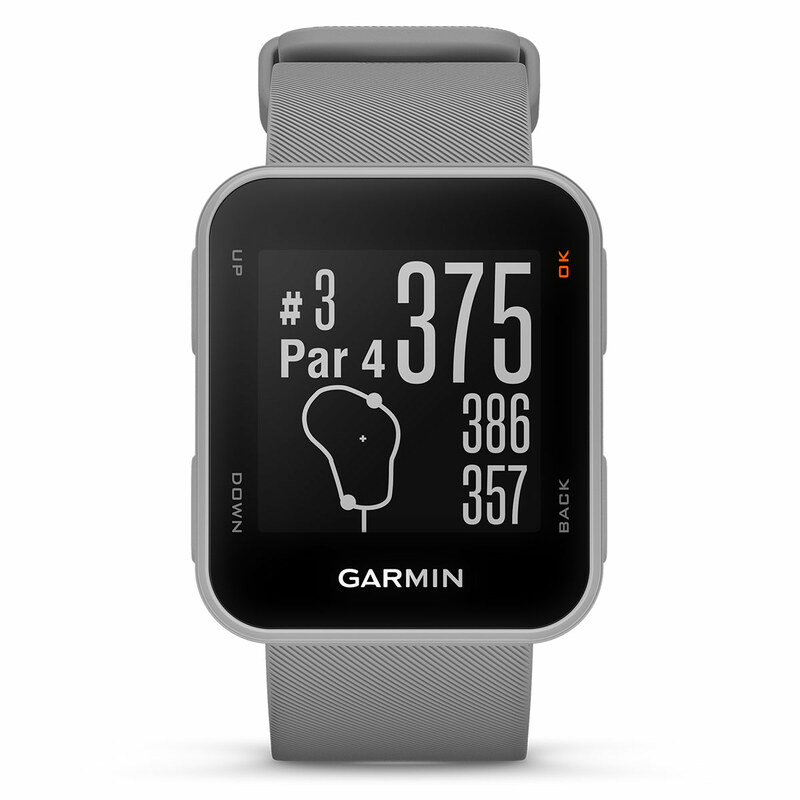 Your friends can’t argue with the data when you brag about it later at the clubhouse. 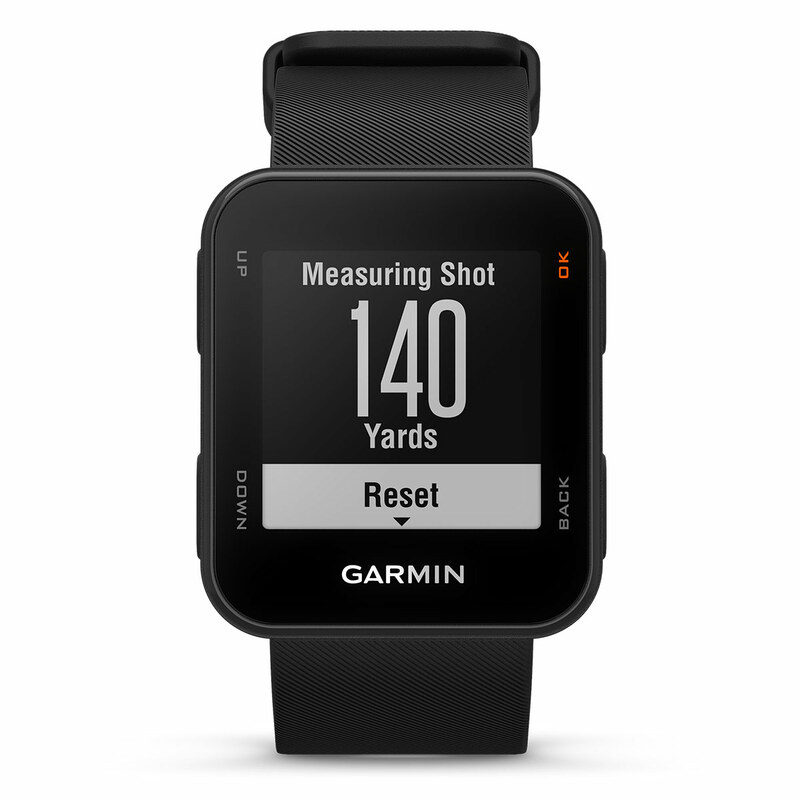 To top all this off, as if it isn’t already amazing, you have a scorecard functionality that helps you keep track through your game and you can then upload your scores after each round to the Garmin Express application. 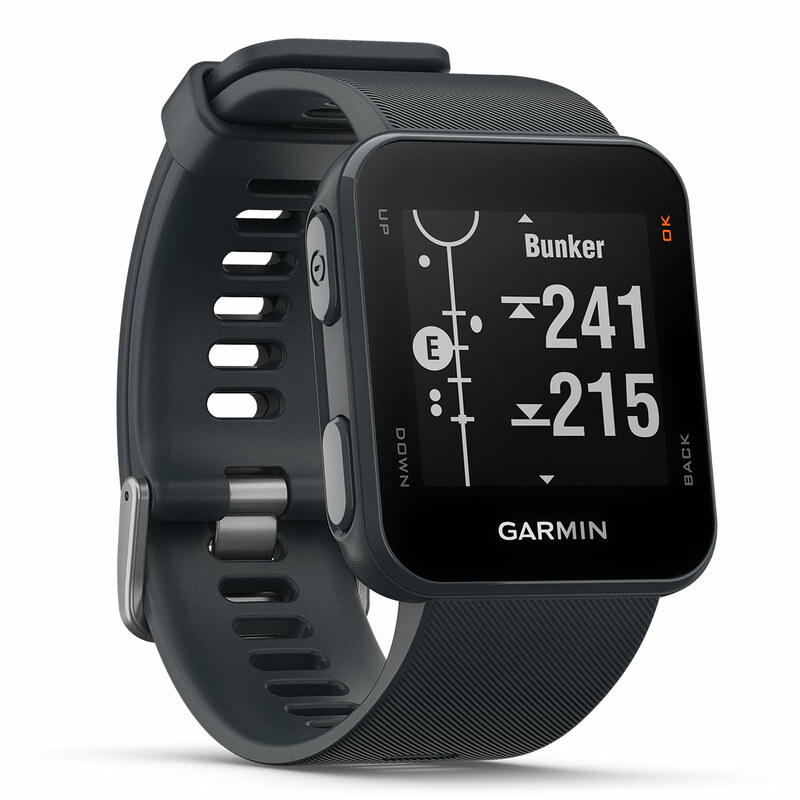 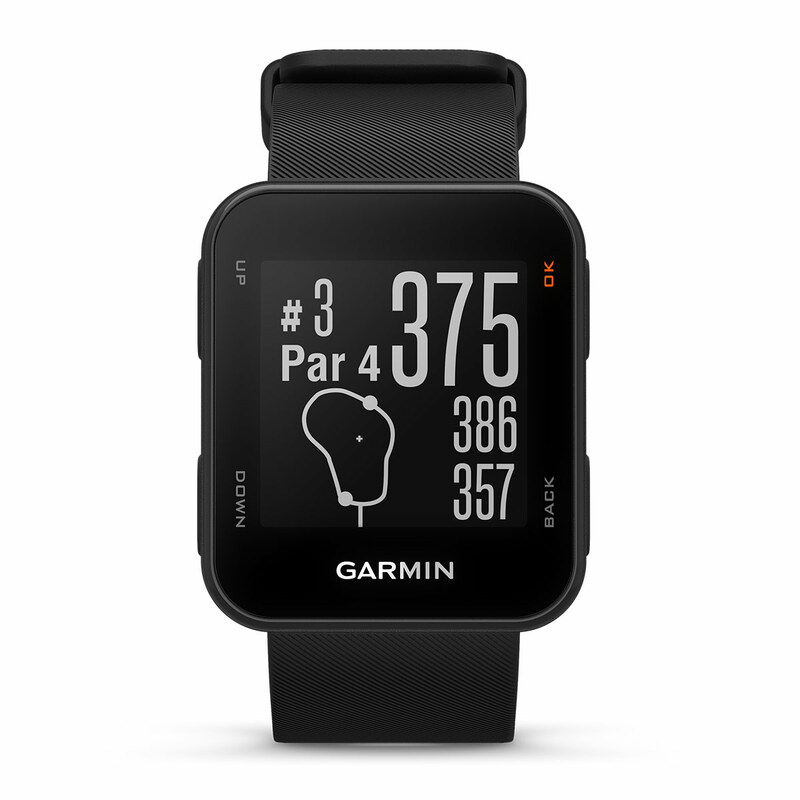 The Garmin Golf App allows you to take part in weekly tournaments and be included in a weekly leader board. 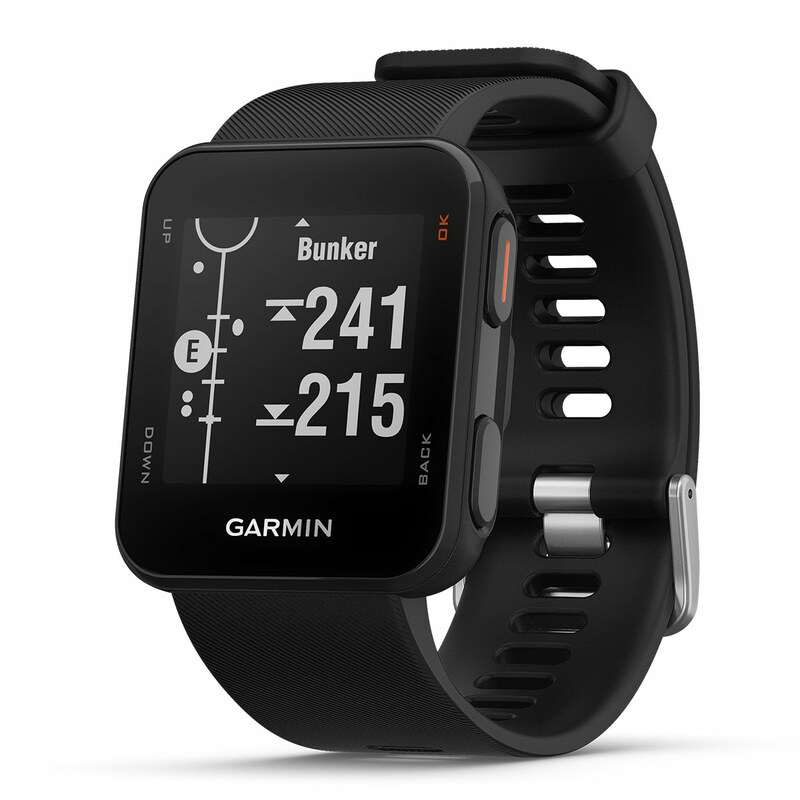 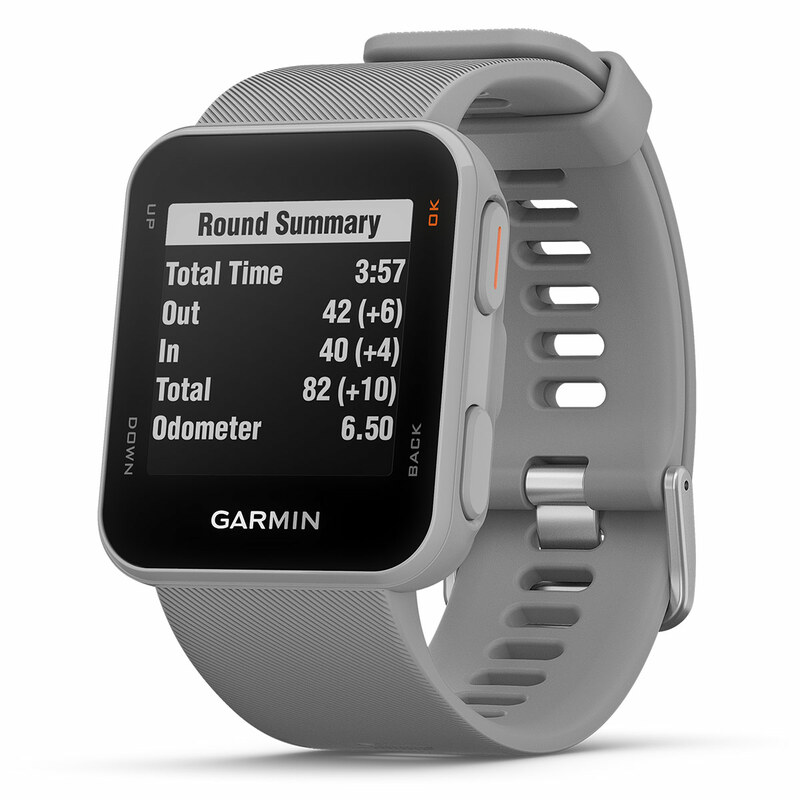 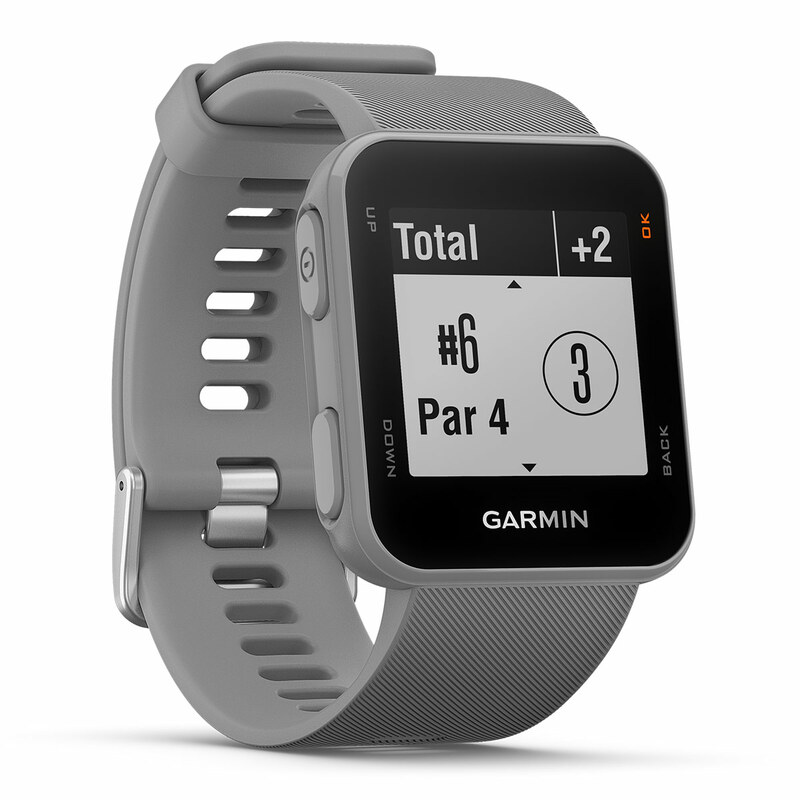 The watch allows you to get a summary of your round by displaying the total distance played, total time and score. 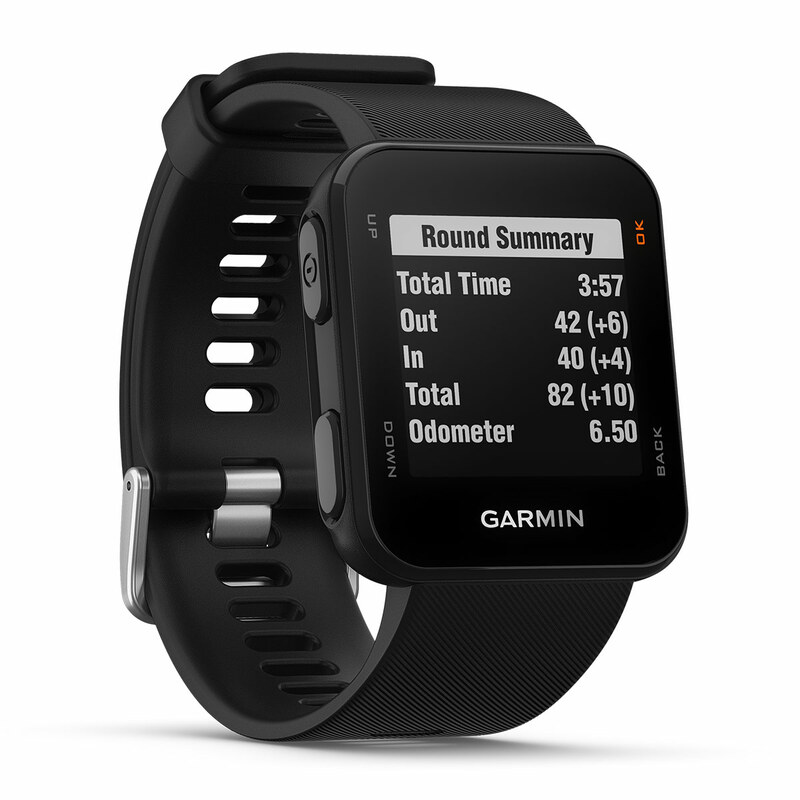 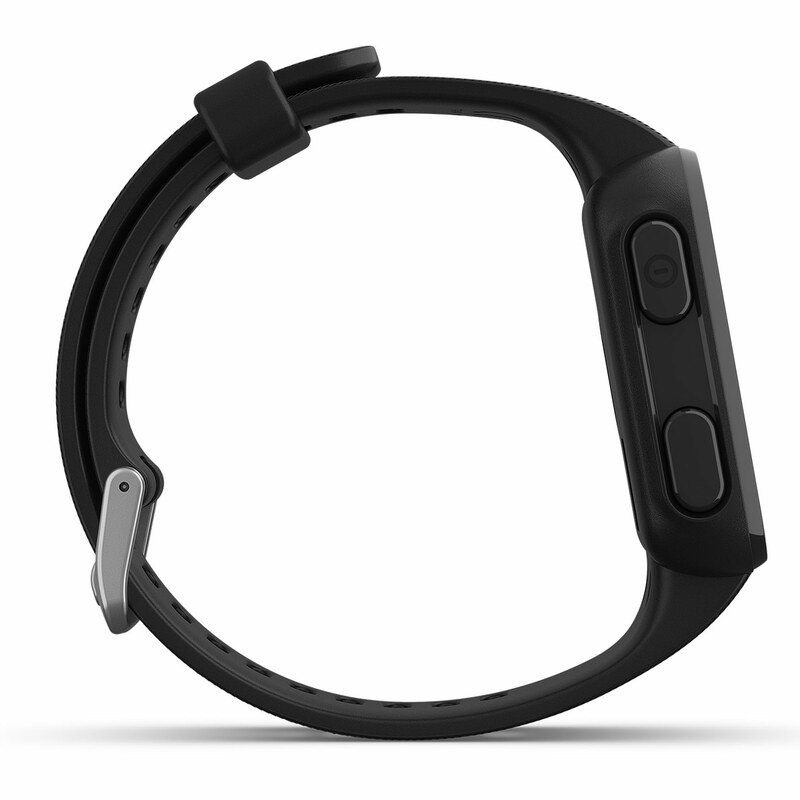 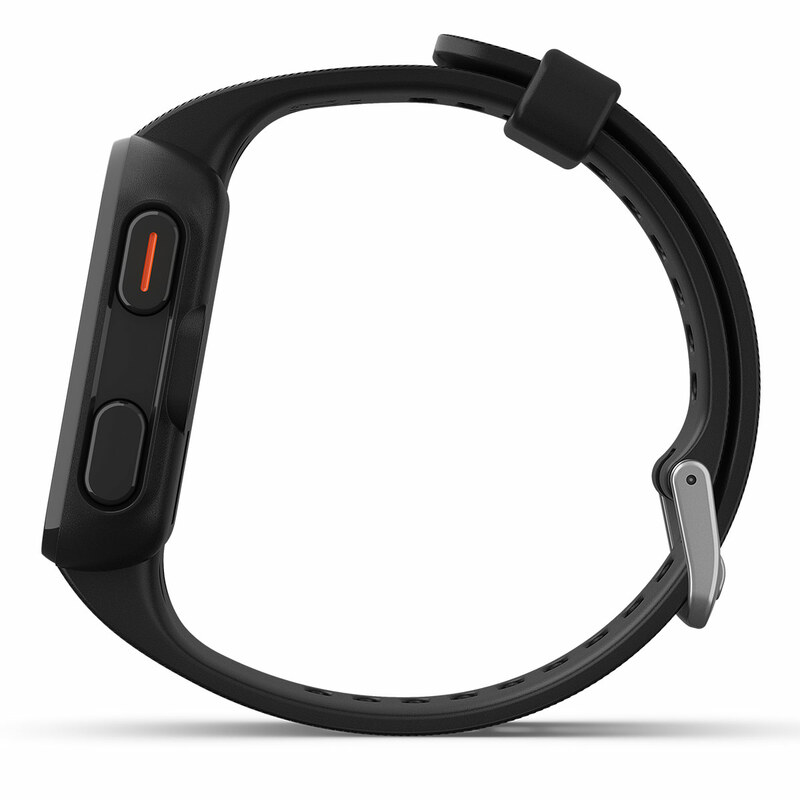 The rechargeable battery allows GPS mode to be used for up to 12 hours.